A new professional women’s hockey league has entered the game. 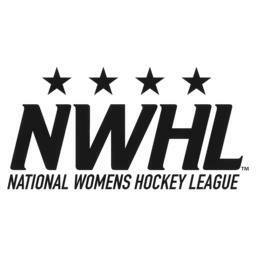 The National Women’s Hockey League is set to debut in the 2015-16 season with four teams: Boston Pride, New York Riveters, Connecticut Whale and the Buffalo Beauts. And the players will be paid, too, according to Jen Neale of Yahoo Sports. The idea for a paid professional women’s league stemmed from conversations between USA Hockey legend Angela Ruggiero (Harper Woods) and former Northeastern player Dani Rylan, according to the Yahoo report. Reportedly, each team will be given an operating budget, which will be used to pay players, team staff and other expenses. A salary cap will be put in place of around $270,000, which translates to $15,000 per player on an 18-player roster. But the players would be responsible for negotiating their own deals, as general managers would not be required to give each player the same contract. The teams will also have their equipment provided for them. The NWHL Foundation will be a charitable wing of the league, intended to spread women’s hockey through grassroots efforts. Paying their players is a big deal for the start-up league, considering that less than a month ago it was reported that the woman who scored the game-winning goal to capture the Canadian Women’s Hockey League’s title couldn’t donate her stick to the Hockey Hall of Fame because she only had one other one and that spare was broken. In June, an entry draft will be held for college juniors. That gives those players a year to finish their NCAA careers while their rights are retained by the teams who drafted them. The puck drops on the season in October and playoffs wrap up in March, with nine home games and nine away games for each squad, as well as two practices per week.